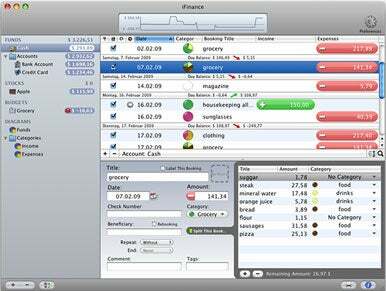 After a public beta testing period, iFinance 3 is now out in a final version. The personal financial management software from Synium Software helps you keep track of bank accounts, stock performance, and other aspects of your financial portfolio. The new release has been rewritten “from the ground up,” according to the developers, and features an improved user interface, the ability to display current stock prices, produces interactive charts and tracks expenses using a new “Budgets” tool. Apple has released an update to its Xcode application development framework. The 3.1.3 update lacks any major feature changes from earlier versions, but adds “some minor enhancements, refines the iPhone development experience especially in the use of provisioning profiles and code signing, and fixes a small number of bugs,” according to Apple’s release notes. AthenaSoft has released AutoCorrectXT 2.0, the latest version of its QuarkXPress XTension for text correction and spelling. Now compatible with QuarkXPress 8, the plugin automatically flags misspelled words as users enter text. AutoCorrectXT also allows users to define which mistakes should be auto-corrected. Users can easily enter names, locations, and other commonly used terms into the AutoCorrect database with the help of a custom shortcut. The plugin’s AutoSpell function features nine different language dictionaries including French, German, and Spanish.